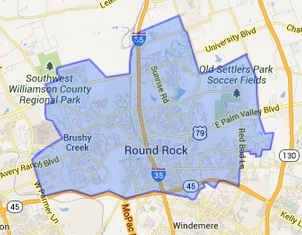 Serving Round Rock and Central Texas. Williamson County is a diverse and unique place. From Texas Hill Country to the Blackland Prairie in order to be a successful locksmith in Round Rock you have to know this area and the needs of the people. We know Round Rock locksmith business! Round Rock Texas loves Henry’s Lock & Key. We have amassed quite the following on social media lately. Why? Because we are doing great work. Everyday our locksmith business helps dozens of people just like you with all of their locksmith needs. And so many of them are happy customers. We go out of our way to make our customers happy. If we can, we do. That’s how we do it here at Henry’s Lock & Key. Why are you calling us today? No problem we will help you! We all do it at one time or another in our lives. Even as a professional Round Rock locksmith service our technicians admit to losing their car keys. Lucky for us we are professional locksmiths and can rectify the problem quickly. But what about you? What’s great is that you know us and we are your friend in the locksmith business. Save our phone number in case of a locksmith emergency. We will come and rescue you no matter what your circumstance is, or what time that it is. We do it all, from compact loaded locksmith vans. We will roll up with a warehouse of locksmith parts and tools. Our vans are micro-versions of our locksmith shop. With key cutting equipment, transponder key programming gear and lots more, we will be able to assist your needs when you call us today. This means that we are sure to be able to assist you quickly and effectively when you make the decision to give us a call. That is the best decision to make! Give us a call and all of your needs are going to be met.